I compared the actual JAXA extent value (April 20) of Arctic and Antarctic with the decadal averages of the 10s, 00s, 90s, and 80s and calculated the cumulative difference of 2019 (example: in the Arctic we are 14 days ahead compared to the 10s, in the Antarctic we are 11 days behind the 10s average, which sums up to 25 days). The big difference means that there is less ice to melt in the Arctic this coming melting season (so less energy needed) and more ice to form in the Antarctic this coming freezing season (more freezing energy to be released). In addition you must also take the Albedo effect into account. The values are slightly smaller than on April 9 as the slope of the averages increase in May (higher melting rates than in April). But the general trend is unchanged. Climate change is on its way! Return to > 3 ppm/year last week. Last year the next week was around 409.5. The latest values are again more than 3 ppm higher. It is time for the monthly update of my extrapolation when the extent [Extent], volume [Volumen] and thickness [Dicke] will reach zero. The extrapolation occured linearly and by a logarithmic function; the latter one almost constantly resulting in earlier times. March value now includes 2019. As extent, volume and thickness in March 2019 lie all above the long-term linear trend lines it is clear that the BOE for March will take place a few years later than calculated last March. All slopes decreased slightly, and March has, together with April, the smallest slope. Please note that this is not a forecast but a trend! I took the monthly extent value for March and added it into my long-term plot where I calculate the anomalies from 1979 up to now. The average March extent is now 15,28 M km². March 2019 had an average extent of 14,55 M km², which is (like it was in February 2019) 0,73 M km² less. In March 2019 the anomaly is 0,33 M km² above the long-term linear trend (it also was above in Nov 18, Dec 18, Jan 19 and Feb 19), which calculated this March should have been at 14,22 M km². With the strong losses in the last week I expect that April 2019 will lie slightly below this linear trend line. Main topic is the Blue Ocean Event and its main consequences. The top losers of sea ice area (see gerontocrat's posting above) from March 20-April 3 are Okhotsk, Barents, Bering and Kara Seas. In relative numbers the decrease in sea ice area is highest in Bering, followed by St. Lawrence and Barents. Almost no change still in the central Arctic seas such as CAA, CAB and ESS. 2019 is now six days ahead (8.4.2016 had the same extent as 2.4.2019) and further extent losses are likely. If there were no further drop in the next days (what I do not expect), 2019 will keep the record low position at least until April 5. I think it is time to thank gerontocat and Juan for presenting up-to-date tables, statistics and information which were almost delivered daily (on some days Juan would have posted the data but he couldn't due to a JAXA timeout). Just found this basic information about Arctic Sea Ice changes since 1980s on YouTube . The channel's name is "Just have a Think". The author will put more videos like this online over the next weeks. They are based on the latest Arctic Report Card subjects. It is time for the monthly update of my extrapolation when the extent [Extent], volume [Volumen] and thickness [Dicke] will reach zero. The extrapolation occured linearly and by a logarithmic function; the latter one almost constantly resulting in earlier times. February value now includes 2019. As extent, volume and thickness in February 2019 lie above the long-term trend lines it is clear that the BOE for February will take place a few years later than calculated last February. All slopes decreased slightly. The "clean up" of the fast ice in Pine Island Bay continues even faster. Today a ca. 350km² area in the northeastern part of the Bay was cleared from ice, in addition a lot of the northeastern coast. Also the SW side of the bay lost further fast sea ice. All these areas are marked in red. The big yellowish green marked feature in the center is the biggest remaining iceberg from the calving event in October 2018. Some of the freshly eroded fast ice was pushed against the eastern margin of the Thwaites Ice Tongue (marked in blue). "Clean Up" of fast sea ice in Pine Island Bay. All red marked areas have lost fast sea ice in the last week/during the last weekend. The areas are marked in red at the PIIS show minor calvings (see more details above in this thread). The blue marked iceberg is grounded and is located at the same place for quite a while now. I tried to indicate some names of islands and glaciers for a better orientation. The whole area contains ca. 320 x 175 km, so it is huge. PS: In Sentinel some of the edges close to the slow, not really moving ice shelves show the first re-freezing. Stephan - can you show a graph with only the January averages for each year? I wonder if it will show a different trend. It is time for the monthly update of my extrapolation when the extent [Extent], volume [Volumen] and thickness [Dicke] will reach zero. The extrapolation occured linearly and by a logarithmic function; the latter one almost constantly resulting in earlier times. Volume is the first to reach zero. Due to long unavailable data for December I present Dec 1979-2018 and Jan 1979-2019 in one new post. As both months lay above the long term linear trend (see my posting today on the sea ice area and extent data) the slopes have decreased very slightly, leading to slightly later values compared to the two months one year ago. Another month - and this time also another 5-year period - has passed and I provide the actual January extent data in the bigger context. Jan 2019 had an average extent of 13.56 M km², 0.6 M km² less than all Januarys since 1979. Nevertheless the loss does not follow the linear trend line, but remains 0.3 M km² above it (red line in the graph). It is the third consecutive month with that behaviour, and I guess at least the next two months will show the same deviation. See attached graph (if you compare it with the Dec 2018 graph you see I had to lengthen the x axis by another five years). A new crack has developed in the last two weeks on one of the icebergs at the western flank of PIIS. It has a length of roughly 1.2 km and almost reached the eastern side of this iceberg. See attached figure, crack marked in yellowish green. I wonder what happens when the calving front reaches this area of already broken-up ice at the western flank of PIIS. Will this accelerate the degradation in general and lead to more little calving events? Minor break-up of fast sea ice on the NE shore of Pine Island bay. Total are is about 15 x 2-3 km². Mostly it is young thin ice, but two packs derived from the ice shelf (marked in blue) have also disintegrated. In addition new and older cracks in that shelf are marked in orange. Probably future breaks, possibly this austral summer? Minor calving at the SW end of the PIIS, an area already designed to calve because of many cracks with the approx. size of 3 x 0,5 km has calved this week. New big movement in the Thwaites fast ice / ice tongue / ice mélange (call it what you like). This time it goes further than any time this austral summer (orange line) and comes close to the calving front of Thwaites glacier (approx. 20-30 km). I also marked with a thin dotted yellowish green the position of the crack I posted yesterday (please note that Sentinel and EOSDIS use different orientations). There is a new big crack going through the fast ice of the Thwaites Ice Tongue that separates Thwaites glacier (to the south) and thicker ice originated from Thwaites Glacier (to the north). I checked Sentinel images from earlier January and late December and the crack was only very partially visible at that time. The crack goes through the thinner sea ice, not through any of the bergs. I wonder whether the whole thong can separate due to currents and winds in the next days or weeks or whether the northern part will stay where it is because it is grounded in shallow waters. Any idea? See attached figure, crack again indicated by yellowish green line (the thicker parts of it south of the crack so you can directly see it). The thicker the line, the wider the crack. A new crack runs through the Thwaites Ice tongue (it can't be fast sea ice as it moves every day) and a big portion is about to break off (direction indicated by arrows). A small part in the northeasternmost corner of the PIIS has calved these days. I circled the resulting iceberg and the corner where it broke off. If ppm of C02 are increasing in the atmosphere, that must mean ppm of something else is declining. What other atmospheric gas is declining as CO2 increases, and does this need for something else to decline at all effect the rate of growth of CO2 ppm in the atmosphere? Obviously this change in O2 hardly makes any difference to the ability to burn fossil fuels. This means that for every CO2 molecule you produce you lose a little more than 1.5 O2 molecules. Of course some of the CO2 that is produced comes from black carbon (coal) where almost no hydrogen is present. So the ratio between CO2 gain and O2 loss may lie somewhere in-between 1.2 and 1.4. Nevertheless, the (slightly) increased O2 loss is negligible (as a fraction of existing oxygen in the atmosphere) compared to the relative strong increase of CO2. A big change occured with the sea ice in front of PIIS within the last days. Please compare the two pictures from Jan 09 (above) and today (Jan 19, 2019), both taken from EOSDIS worldview. It looks like a complete break-up and partial collapse of the sea ice, combined with a massive NW movement of the calved icebergs from Oct 2018 and the remains from the calving in 2017 (don't remember the month). "...But isn’t the big fear the Great Discontinuity, where a whole lot of ice areas begin similtaneous sudden collapse? ..."
...which would cause probably one billion refugees who will look for another place to live and who can not be sent back to their original countries/areas because these will be then completely inundated. 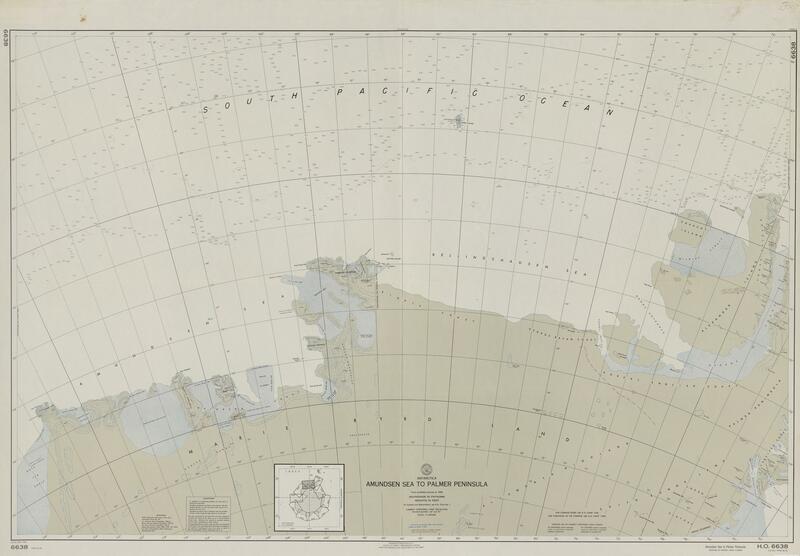 I keep on watching the Amundsen Sector of Western Antarctica carefully. The last two days a large chunk of fast sea ice broke off in the Pine Island Bay. I have added a picture generated by the EOSDIS "Start Comparison" button. The right half was photographed on Nov 19, the left half is from today. Try this comparison option out by yourself!